Commercial Ductwork, Auburndale, FL | Johnson's Mechanical Inc. Commercial Ductwork, Auburndale, FL | Johnson's Mechanical Inc.
We can handle a variety of services relating to your commercial ductwork in Auburndale. The ductwork in your office building, retail store, or other commercial structure plays an important role in the overall comfort level and ventilation of the building, as well as the energy efficiency of your heating and cooling system. If you have cracks or other damage within your commercial ductwork, you could notice that the energy bills creep up every month. Poor energy efficiency is a waste of money and resources, so it’s important to keep up on regular maintenance and watch out for rising heating and cooling bills. 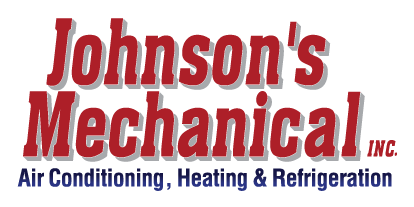 Our team of skilled HVAC professionals at Johnson’s Mechanical Inc. can handle a variety of services relating to your commercial ductwork. We can come to your office building in Auburndale, Florida to provide routine duct cleaning services to get rid of the built-up dust, pollen, dirt, and other debris that tends to get trapped in these ducts. When we clean out your ducts, you might notice a decrease in energy bills, since the system can operate more efficiently. The service also helps improve indoor air quality, which can cut down on allergic symptoms and other health concerns. We can also provide repairs and replacement on your commercial ductwork if you have sections that are damaged or worn out. With over three decades of experience in the commercial HVAC industry, we can handle any type of service that you need at your place of business. Our goal is to keep clean, healthy, and comfortable air flowing throughout the changing seasons.